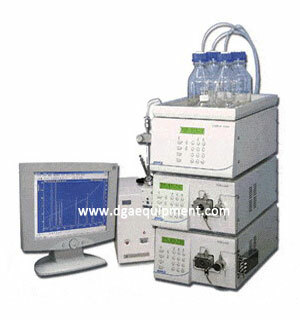 Measures the furfuradehyde and related furanic compounds in transformer oil and other mineral insulating oils. Conforms to IEC 61198, ASTM D5837. CE Mark. Transformer core and winding have mainly paper insulation. Base of paper is cellulose. The Cellulose has a structure of long chain of molecules. As the paper becomes aged, these long chains are broken into number of shorter parts. This phenomenon we often observe in our home. The pages of very old books become very much brittle. In transformer, the aging affect of paper insulation is accelerated due to oxidation occurs in oil. When insulating paper becomes mechanically weak, it can not withstand the mechanical stresses applied during electrical short circuit and leads to electrical breakdown. Therefore, it is necessary to monitor the condition of paper insulation inside a power transformer. It is not possible to bring out a piece of paper insulation from a transformer in service for testing purpose. However, we can do it by furfuradehyde analysis (furfural test). Easy to use, simple and intuitive user interface requires no training.